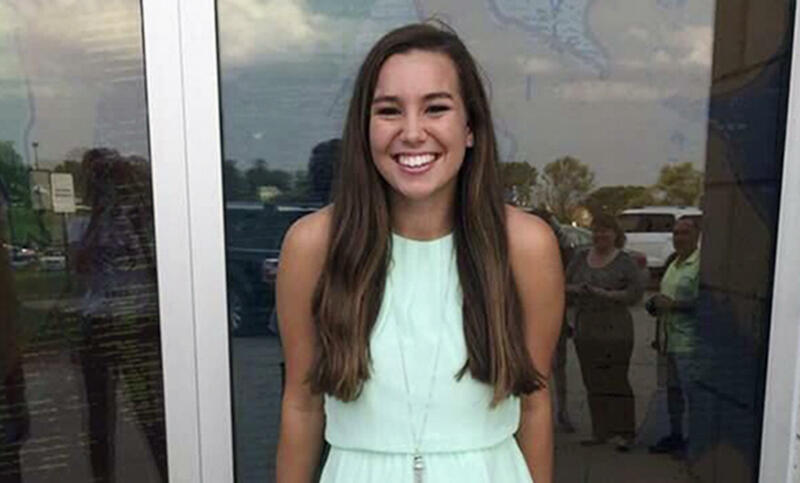 BROOKLYN, Iowa -- Authorities investigating the disappearance of Iowa college student Mollie Tibbetts are focusing on five areas in and near her hometown. They are focusing on her boyfriend's home in Brooklyn, a car wash, a truck stop, a farm more than three miles from downtown Brooklyn, and another farm more than six miles away. Officials hope mentioning the areas will jog residents' memories, said special agent Rick Rahn of the Iowa Division of Criminal Investigation. Investigators have asked anyone who was in any of them when Tibbetts disappeared to remember that evening and leave tips on a website. The 20-year-old was last seen July 18, jogging in Brooklyn in central Iowa. A video released last week from the day before she went missing showed Tibbetts having fun and laughing — displaying no signs that anything was out of the ordinary that day. Her family reported her missing the day after she disappeared when she didn't show up for work. Crime Stoppers of Central Iowa said a reward fund, created earlier this month, has grown to more than $366,000.